While a lot has been said about the disruption that could enables, how is it transforming the process of recruitment cycle? 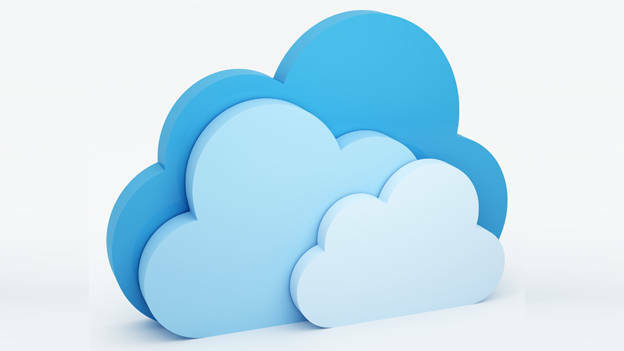 The use of cloud in the recruitment cycle ensures that the company creates for itself long term competitive advantages. Modern day recruitment is a challenging environment. Companies have to work hard to identify and attract the right talent while also keeping track of the needs of their own employees. The dynamism in hiring practices is fuelled by streamlining recruiting processes, high volume recruitment, finding candidates with specialized skills and global market dynamics. The candidate pool for recruitment has been often segregated into active job seekers and passive candidates. Identifying the right talent involves screening and assessment across various channels including a variety of websites, job boards, referrals and social media. While technology has simplified many processes, the need for an integrated platform to manage the recruitment cycle now has a platform, the cloud. Highlighting employer brand: Promoting employer brand is an exercise that is deemed to attract candidates. The cloud forms the bridge between a career portal and the corporate website by ensuring that the two are integrated, it is capable of supporting multiple brands in multiple languages. It enables integration of rich media content that creates increased candidate engagement and conversations. It also allows recruiters to tailor application processes for both internal and external hires. Multi- channel Sourcing: Information about job openings need to be posted across multiple sourcing channels. A cloud service is capable of automatically posting jobs across corporate career sites and job boards, it also ensures social integration via social media platforms such as Twitter, LinkedIn and Facebook. Data on prospective candidates across all these channels can be captured and analyzed using advanced sourcing analytics. This information helps companies not only identify the best sources but it also helps them optimize their future investments. Automated Candidate Screening and Assessments: Assessing candidates involves pre-screening, determining eligibility and ranking candidate abilities- according to the needs of the job, by carefully checking their certifications and experience. The cloud provides the interface to create multi-layered screening and assessment tools that are integrated to evaluate key behavioral competences and attributes that is required of the job. Designing workflows: A cloud service offers recruiters an opportunity to design flexible candidate workflows. While reducing the administrative processes, it helps organizations adapt to needs of specific brands and hires. It also enables supporting compliance features that help companies keep up with changes in legal environment. This ensures that the candidates’ selection process is fully complainant with legal procedures. Interview and Offer Management: Automated features within a cloud service are capable of scheduling and confirming interviews. The use of online interview guides and questionnaires help in promoting standardized processes for all candidates. Further, collection of feedback and scores that enable recruiters to make hiring decisions are made available instantly. Organizations also have access to a variety of offer templates that automatically streamline the process for recruiters and hiring managers. All of these features enable candidate hiring with enhanced online security and reduced time to hire. Mobile and other integration: Even as the generation next moves to a mobile first world, the cloud is capable of supporting mobile usage for both the candidates and hiring teams alike. Candidates can apply using mobile applications, while hiring team can access data from the web and smart phones. Oracle’s Taleo service also enables integration with hundreds of pre-built certified partners for assessments, background checks, tax screening etc., companies can easily extend the value of their solution. Onboarding: While companies still prefer offline on boarding activities to engage and connect with new hires, the cloud provides an opportunity to automate and streamline the process online. The advantages of which include easy documentation, integrated compliance and role based training. Ultimately, the use of the cloud in hiring the right employees ensures that the company creates for itself long term competitive advantages. This also enables increased customer satisfaction and revenue growth. Between reaching the hard- to- find talent and getting them productive quickly, the opportunities that the cloud presents are immense.